As a child-centred development and humanitarian organization, Plan International is committed to empowering young people so that they could realize their potential and take action as agent of change. We believe that making children and youth voices heard is a crucial link to the advancement of children’s rights and equality for girls. 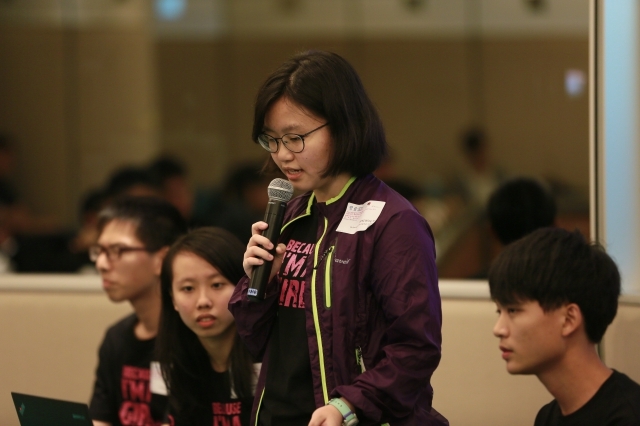 To nurture global citizenship among local young people and raise their awareness towards girl issues in low income countries, Plan International Hong Kong has partnered with the Department of Asian and International Studies of City University of Hong Kong to co-organize “Plan International Hong Kong Youth Conference” since 2015. The conference allows young people to understand and reflect on the dire situation faced by girls in low income countries. 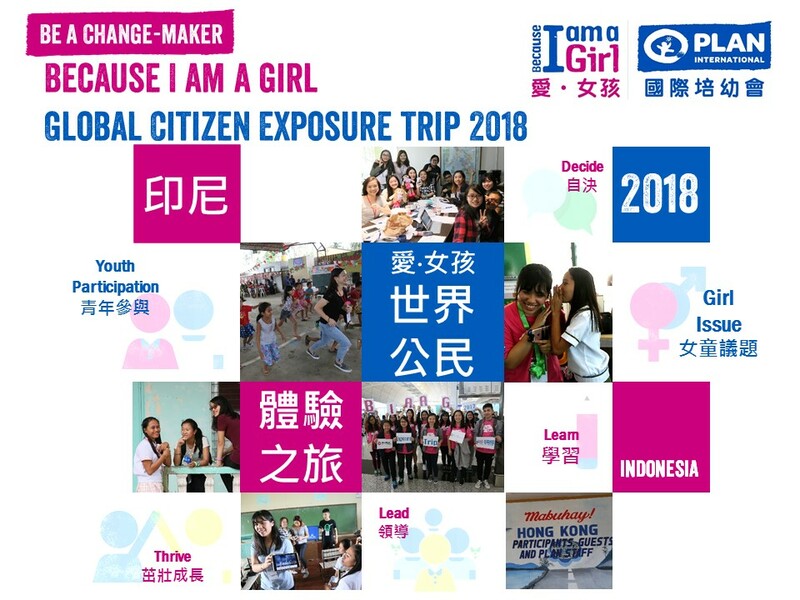 Other than local activities, Plan International Hong Kong facilitates young people to enrich their life experience and develop global perspective through activities such as “Because I am a Girl – Exposure Trip”. 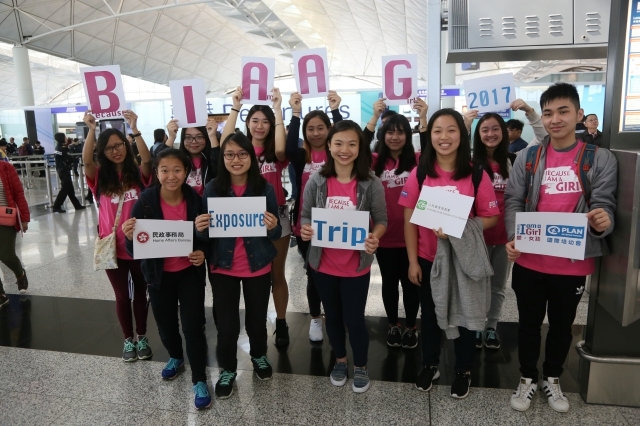 During exposure trips, youth ambassadors are given chances to visit Plan’s overseas community projects and exchange ideas on girl issues with local counterparts. This is a unique and valuable exposure and cultural learning experience. In 2017, Plan International launched the first ‘Because I am a Girl – Be a Change-maker’ program, which aims at nurturing young people who are interested in social and child protection issues as global citizens and generally equipped as a positive driver of change. Throughout an interactive process of ‘Learn, Lead, Decide and Thrive’, participants can take the first step on their way to becoming global citizens by learning, researching, and taking action to make a voice for children around the world, especially for girls in poverty and dire situation. Focusing on the enhancement of children’s rights, especially rights to protection, our local programme primarily focuses on children aged 0-8 years old. We aim to enhance the existing child protection mechanisms and community awareness which enable every child in Hong Kong, especially girls, to grow up equally, are being valued and cared for, and free from discrimination, fear or violence. Upholding the right-based approach, our work is designed to promote and enforce a system strengthening approach, covering both preventative and responsive measures across all duty bearers, e.g. NGOs, government bodies, schools, child-related organizations, etc. The stage of early childhood (0-8 years old) is extremely important because we recognize* 1) the vulnerability of children; 2) the investment in early childhood is highly effective and efficient and 3) the impact of early interventions for disadvantaged children into their adulthood is profound. We will work with children and their families, civil society organizations and networks, community, academia, policy makers and the Government through programmes, capacity building and evidence-based research and advocacy, etc. The government plans to set up a Commission on Children in mid-2018 and we have developed a position paper to lay down our views on the expected role, functions, composition and structure and priorities of the Commission.